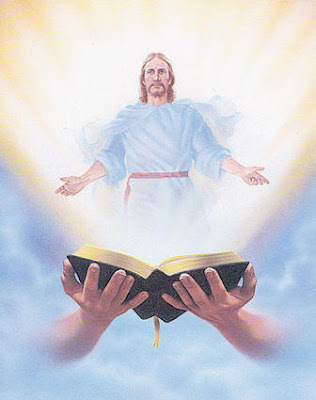 Apostolic Revelation: His Word Carries Healing Power! His Word Carries Healing Power! Meditate on it and you will receive it! Says the Lord of hosts (Zechariah 4:6). 6 So we are always confident, knowing that while we are at home in the body we are absent from the Lord. 7 For we walk by faith, not by sight. 8 We are confident, yes, well pleased rather to be absent from the body and to be present with the Lord (2 Cor 5:1-8). And health to all their flesh (Proverbs 4:20-22). 1) The word of God is a healing word. 22 So Moses brought Israel from the Red Sea; then they went out into the Wilderness of Shur. And they went three days in the wilderness and found no water. 23 Now when they came to Marah, they could not drink the waters of Marah, for they were bitter. Therefore the name of it was called Marah [bitterness of water represents sickness and curses]. 24 And the people complained against Moses, saying, "What shall we drink?" 25 So he cried out to the Lord, and the Lord showed him a tree. When he cast it into the waters, the waters were made sweet [sweetness of water represents health and healing]. 27 Then they came to Elim, where there were twelve wells of water and seventy palm trees; so they camped there by the waters (Exod 15:22-27). 1) You cannot find true water for your thirst in the wilderness except through God’s divine favor. Wilderness is the place where beasts will live and control the area and will destroy human beings if they have no weapons to protect themselves (Matt 4:1, 11; Mark 1:13). Even when you reach Marah, the waters will be bitter only. 2) The Bitter waters of Marah are the natural state of this fallen world of sin which the people of God cannot drink because it is bitter. When we experience such thirst and find only bitter water, God expects us to cry out to Him to find help as His dear children (Psalm 50:15). The tree that God showed to Moses symbolically represents the cross of Jesus Christ which has been thrown in to the waters of bitterness which is the fallen world of sin, sickness and death, to heal it and sustain life of health and prosperity. The only solution for all the problems in this world of wilderness is to seek the cross of Jesus Christ (1 Peter 2:24). So only Jesus said “If any one thirsts, let him come to Me and drink….” (John 7:37-39). The only thing that we need to do is to believe what He has done for us and drink the water, and we will experience the sweet water of healing which is the Spirit of God who will bring healing, health and prosperity in to the lives of every one whom He leads. Even today whoever seeks for healing, the Lord will show to them the tree through which they can receive healing by casting or throwing it in to the bitter waters of sin, sickness and the curses of this world that are afflicting them. So that they can receive healing through it. 3) God will give health, healing and blessing to those who naturally have no other way but to experience sickness, diseases and curses in this fallen world, if they will only diligently heed the voice of God and do what is right in His sight. 4) When God says ‘I will put none of the disease which I have brought on the Egyptians’, it first shows that diseases are the result of sin and eventually from the curse that is upon Humanity because of the fall of man and his inclination to sin and his sinful lifestyle. These curses of diseases are a type of Judgment for their Godless life style. Secondly it shows that God is in control over the physical realm of man. 5) When God says ‘...For I am the Lord who heals you.”, in other words God is saying ‘My nature itself is to heal you’. 6) God gives abundance when we walk according to His guidance. The Good waters that they drank at Elim made them healthy and strong (Exod 15:27). The word ELIM means the rams; the strong; stags, which shows that it is God’s will for us to stay healthy and strong like rams for His glory. His will for us is to be led by the side of still waters where we will stay healthy (Ps 23:2). But if the Spirit of Him who raised Jesus from the dead dwells in you, He who raised Christ from the dead will also give life to your mortal bodies through His Spirit who dwells in you (Rom 8:11). 1) God will quicken [renew] your mortal [earthly] bodies to bring the life of God in to it, as He infused the life of Jesus in to the dead mortal body of Jesus Christ out Lord [resurrection], He will do in your life too because He lives in every believer. 2) God will bring this healing life into us through the life and activity of His Spirit that lives in us. The only requirement we need to do to receive this benefit of healing is to live by being led by His Holy Spirit. 13 For if you live according to the flesh you will die; but if by the Spirit you put to death the deeds of the body, you will live. 14 For as many as are led by the Spirit of God, these are sons of God (Rom 8:13-14). 3) When we are led by the Spirit of God, God will help us to cast out all the evil power of satanic sin and sickness which lead to death, by the Spirit of God (Mark 16:17, 18; Acts 10:38). 4) It is our responsibility to put to death the deeds of the body which leads to death. It is a decision that we take to counter satanic oppression of sin, sickness and death. When we take that decision, God will help us to defeat the satanic power by the power of the Holy Spirit. The Holy Spirit will help us by making us use the Name of Jesus. 5) When we break the sinful habits of bondages that lead to the deterioration of health and eventually death, you will live the life of God in this planet earth itself by the Spirit of God. 21 Then Jesus went out from there and departed to the region of Tyre and Sidon. 22 And behold, a woman of Canaan came from that region and cried out to Him, saying, "Have mercy on me, O Lord, Son of David! My daughter is severely demon-possessed." And His disciples came and urged Him, saying, "Send her away, for she cries out after us." 26 But He answered and said, "It is not good to take the children's bread [healing and deliverance from demonic oppression] and throw it to the little dogs." 28 Then Jesus answered and said to her, "O woman, great is your faith! Let it be to you as you desire." And her daughter was healed from that very hour (Matthew 15:21-28). 1) Healing for the spirit, soul and physical body is the rightful bread that is our’s in Christ Jesus. 2) Faith in the finished work of Jesus Christ [the work of the cross] will bring healing to our physical body. 3) Persistence to receive healing from God is the key to receive healing from God. 4) Jesus was sent forth to those who are feeling lost in this world of sin and sickness. 5) To have faith is to believe that our Lord is ever merciful and compassionate in character and has the power to heal no matter what our circumstance are (Matthew 9:11-13; Psalm 103:8, 11). 6) Person of Great Faith will not be offended, when the answer does not come immediately as expected, but will persevere to experience the miracle working power of God (2 Cor 12:12). 7) When God says, ‘it is done’, believe it irrespective of time and distance which do not influence God because He lives outside of it. This is the faith that can be described as Great Faith. Great Faith will always have strong desire to see what God says fulfilled and will believe every word that comes out of the mouth of God as having the absolute power to fulfill what He says. 6 And God said to him [Abimelech] in a dream, "Yes, I know that you did this in the integrity of your heart. For I also withheld you from sinning against Me; therefore I did not let you touch her. 7 Now therefore, restore the man's wife; for he is a prophet, and he will pray for you and you shall live. But if you do not restore her, know that you shall surely die, you and all who are yours." 17 So Abraham prayed to God; and God healed Abimelech, his wife, and his female servants. Then they bore children; 18 for the Lord had closed up all the wombs of the house of Abimelech because of Sarah, Abraham's wife (Genesis 20:6-7; 17-18). 1) When a prophet of God prays for your healing as directed by the Lord, you will receive healing. Believe in the Lord and His prophets and you will prosper (2 Chronicles 20:20). 2) When you don’t have a child, always ask the Lord for this gift. It is He who gives it to every one (Psalm 127:3, 4). 3) The main function of a prophet and a prophetic church is to pray to God for others. They have been raised for this one main purpose. What a privilege! 12 'For I will pass through the land of Egypt on that night, and will strike all the firstborn in the land of Egypt, both man and beast; and against all the gods of Egypt I will execute judgment: I am the Lord. 13 Now the blood shall be a sign for you on the houses where you are. And when I see the blood, I will pass over you; and the plague shall not be on you to destroy you when I strike the land of Egypt. 21 Then Moses called for all the elders of Israel and said to them, "Pick out and take lambs for yourselves according to your families, and kill the Passover lamb. 22 And you shall take a bunch of hyssop, dip it in the blood that is in the basin, and strike the lintel and the two doorposts with the blood that is in the basin. And none of you shall go out of the door of his house until morning. 23 For the Lord will pass through to strike the Egyptians; and when He sees the blood on the lintel [cross-piece at the top of the door] and on the two doorposts, the Lord will pass over the door and not allow the destroyer to come into your houses to strike you. 24 And you shall observe this thing as an ordinance for you and your sons forever (Exodus 12:12-13, 21-24). 1) When God judges the world with his judgment by sending plagues in it, we will be protected if we live by faith in blood of Jesus to protect us from every thing. To have faith in the blood of Jesus is to confess our sins to God when ever we have done wrong and the blood of Jesus will automatically cleanse and cover us. By doing this we are making an effort to strike the doorpost of our will with the blood of Jesus in the houses of our body which we live in representing the houses that the Israelites lived (1 John 1:7, 9). This gives us health and protection from plagues and diseases. Now the Lord spoke to Moses and Aaron in the land of Egypt, saying, 2 "This month shall be your beginning of months; it shall be the first month of the year to you. 3 Speak to all the congregation of Israel, saying: 'On the tenth of this month every man shall take for himself a lamb, according to the house of his father, a lamb for a household. 4 And if the household is too small for the lamb, let him and his neighbor next to his house take it according to the number of the persons; according to each man's need you shall make your count for the lamb. 5 Your lamb shall be without blemish, a male of the first year. You may take it from the sheep or from the goats. 6 Now you shall keep it until the fourteenth day of the same month. Then the whole assembly of the congregation of Israel shall kill it at twilight. 7 And they shall take some of the blood and put it on the two doorposts and on the lintel of the houses where they eat it. 8 Then they shall eat the flesh on that night; roasted in fire, with unleavened bread and with bitter herbs they shall eat it. 9 Do not eat it raw, nor boiled at all with water, but roasted in fire--its head with its legs and its entrails. 10 You shall let none of it remain until morning, and what remains of it until morning you shall burn with fire. 11 And thus you shall eat it: with a belt on your waist, your sandals on your feet, and your staff in your hand. So you shall eat it in haste. It is the Lord's Passover (Exodus 12:1-11). 1) Eating the flesh of the lamb is symbolic of eating [i.e. believing] the finished work of Jesus that which He achieved for us on the cross and live by it. Healing will follow when we do this, this is what had happened when the Israelites obeyed the commandment of the Lord when they came out of Egypt. All of them got strengthened in their physical body because of God’s healing power flowing in to their body by their faith in obeying the word of the Lord by eating the lambs flesh (Ps 105:37; John 6:48-58). It is doubtless not profitable for me to boast. I will come to visions and revelations of the Lord: 2 I know a man in Christ who fourteen years ago--whether in the body I do not know, or whether out of the body I do not know, God knows--such a one was caught up to the third heaven. 3 And I know such a man--whether in the body or out of the body I do not know, God knows-- 4 how he was caught up into Paradise and heard inexpressible words, which it is not lawful for a man to utter. 5 Of such a one I will boast; yet of myself I will not boast, except in my infirmities. 6 For though I might desire to boast, I will not be a fool; for I will speak the truth. But I refrain, lest anyone should think of me above what he sees me to be or hears from me. 7 And lest I should be exalted above measure by the abundance of the revelations, a thorn in the flesh was given to me, a messenger of Satan to buffet me, lest I be exalted above measure. 8 Concerning this thing I pleaded with the Lord three times that it might depart from me. 9 And He said to me, "My grace is sufficient for you, for My strength is made perfect in weakness." Therefore most gladly I will rather boast in my infirmities, that the power of Christ may rest upon me. 10 Therefore I take pleasure in infirmities, in reproaches, in needs, in persecutions, in distresses, for Christ's sake. For when I am weak, then I am strong (2 Cor 12:1-10). 1) Paul’s thorn in the flesh was not a disease, but the messenger of Satan who was causing infirmities, reproaches, needs, persecutions and distresses. 2) Paul took pleasure in it [infirmities, reproaches, needs, persecutions and distresses] because all these Satanic buffeting [repeated attacks of merciless beating] caused the power of God to rest upon him to resist it and to act against that messenger of Satan [powerful demon] to defeat it, which made him a powerful Apostolic General in God’s army. 3) To keep Paul from falling in to the trap of satanic pride, because of the abundance of revelations from God and Him getting caught up in to the third heaven and hearing inexpressible words of heaven, this buffeting was given to Paul. That’s why this thorn in the flesh was a blessing in disguise which Paul understood later and started boasting in it. 4) When God allows such attacks, He will give His grace [empowerment] to handle it. 5) Here the Greek word used for ‘infirmity’ is astheneia lit., "want of strength" (a, negative, sthenos, "strength"), "weakness," indicating inability to produce results, is most frequently translated "infirmity," or "infirmities;" in Rom_8:26, the RV has "infirmity" (AV, "infirmities"); in 2_Cor_12:5,9,10, "weaknesses" and in 2_Cor_11:30, "weakness" (AV, "infirmities"); in Luke_13:11 the phrase "a spirit of infirmity" attributes her curvature directly to satanic agency. The connected phraseology is indicative of trained medical knowledge on the part of the writer. skolops originally denoted "anything pointed," e.g., "a stake;" in Hellenistic vernacular, "a thorn" (so the Sept., in Num_33:55; Ezek_28:24; Hosea_2:6), 2_Cor_12:7, of the Apostle's "thorn in the flesh;" his language indicates that it was physical, painful, humiliating; it was also the effect of Divinely permitted Satanic opposition; the verbs rendered "that I should (not) be exalted overmuch" (RV) and "to buffet" are in the present tense, signifying recurrent action, indicating a constantly repeated attack. Lightfoot interprets it as "a stake driven through the flesh," and Ramsay agrees with this. Most commentators adhere to the rendering "thorn." Field says "there is no doubt that the Alexandrine use of skolops for thorn is here intended, and that the ordinary meaning of 'stake' must be rejected." What is stressed is not the metaphorical size, but the acuteness of the suffering and its effects. Attempts to connect this with the circumstances of Acts_14:19; Gal_4:13 are speculative. 11 Note that the acts of Asa, first and last, are indeed written in the book of the kings of Judah and Israel. 12 And in the thirty-ninth year of his reign, Asa became diseased in his feet, and his malady was severe; yet in his disease he did not seek the LORD, but the physicians. 13 So Asa rested with his fathers; he died in the forty-first year of his reign. 14 They buried him in his own tomb, which he had made for himself in the City of David; and they laid him in the bed which was filled with spices and various ingredients prepared in a mixture of ointments. They made a very great burning for him (2 Chronicles 16:12-13). 23 The rest of all the acts of Asa, all his might, all that he did, and the cities which he built, are they not written in the book of the chronicles of the kings of Judah? But in the time of his old age he was diseased in his feet. 24 So Asa rested with his fathers, and was buried with his fathers in the City of David his father. Then Jehoshaphat his son reigned in his place (1 Kings 15:23-24). 1) Even though we go to doctor’s to get treatment, yet we must know that it is God who gives healing to our body. 2) Doctor’s can only prescribe and give medicines, yet the body responds because of God’s mercy over it in sustaining life in it. 3) God expects us to look to Him [seek Him] if we get attacked by any kind of sickness or disease. 4) Because Asa did not believe that God is the one who is the Ultimate Healer, but in his disease sought after the physicians believing that they can heal his disease [in other words Asa did not like to repent to God because of the stubbornness of his heart], thus died because of his disease. 5) If God doesn’t help you, no body can in the critical moments of your life. 6) We must know and confess that the ultimate healer of the body is God, even though we may take medicine in the natural way as directed by the physicians (Luke 5:31). 7) Always acknowledge God’s merciful healing power and sustaining power, whether you get healed with medicine or with out medicine by the power of God and give thanks to Him for His gratefulness and mercies (Psalm 104:29; 150:6). 8) God gives grace [healing] to the humble, but resists the proud who thinks that he can be healed without God’s intervention. Acknowledge your sin and confess it, if you have done anything wrong and appropriate God’s forgiveness and healing power in your life. This will guarantee healing to take place in your body (James 4:6; 5:13-16). “39 And all these [Old Testament saints], having obtained a good testimony through faith, did not receive the promise, 40 God having provided something better for us, that they should not be made perfect apart from us. 1 Therefore we also, since we are surrounded by so great a cloud of witnesses, let us lay aside every weight, and the sin which so easily ensnares us, and let us run with endurance the race that is set before us, 2 looking unto Jesus, the author [originator] and finisher [perfecter] of our faith, who for the joy that was set before Him endured the cross, despising the shame, and has sat down at the right hand of the throne of God” (Heb 11:39-40 => 12:1-2). 1) Faith gives us a good testimony before God. 2) Living by faith does not mean that the promise of God will be seen immediately fulfilled. Some of them have not seen [received] the promise of God fulfilled fully in their life time. Such is the enormous size of the promise that they died in the natural before they could see in the natural realm. Yet by faith they believed and died in hope. 3) Something better that we have that has made us perfect is the indwelling Spirit of God for which the Old Testament saints waited for a few millenniums [i.e. until the death of Jesus Christ on the cross] in sheol to receive it (Matt 11:11; John 7:39). 4) These great cloud of witnesses are a testimony to the faithfulness of God in fulfilling the promise for those who believed it. 5) Every weight that we allow to weigh on us from the world system of governance of the devil, will increase the sin of unbelief in us which so easily ensnares us and will make us end the race with out finishing it fully. So lay aside every weight and run with endurance. 6) To run with endurance means always looking to Jesus as our example and the object of our faith. Don’t have faith in your faith, because that is presumptuous faith that is self-conceited. The motivation for us to run the race should be the promise of God and the reward that is waiting for us. God is a rewarder. “… that the blessing of Abraham might come upon the Gentiles in Christ Jesus, that we might receive [is] the promise of the Spirit through faith” (Galatians 3:14). 1) The blessing of Abraham is receiving the promise of the Spirit through faith. 2) Even though Abraham did not see the fulfillment of all the promise of God that He had spoken, but he received a tangible substance of the measure of faith that made him a blessed man when he was alive in this earth itself. That is why he is called as the father of faith. 3) He was the first man who believed to receive the Spirit through faith in Jesus Christ as the lamb of God who will come and get sacrificed for him and his generations (Gen 22:8; John 8:56) . 4) The gospel was actually preached to Abraham and he believed and received it (Galatians 3:8). 5) If we believe and receive the gospel like Abraham, we are blessed with [note: it does not say, ‘blessed like’, actually we become partners in inheriting the blessing of Abraham] believing Abraham. (1 Peter 1:8; Galatians 3:5, 6, 14 =>[Galatians 3:8; 2 Peter 1:20-21]). The Greek word ‘epaggelia’ means ‘the promise’ in the English language and it comes from the root word ‘epangelia’ primarily a law term, denoting "a summons" (epi, "upon," angello, "to proclaim, announce"), also meant "an undertaking to do or give something, a promise." Except in Acts_23:21 it is used only of the "promises" of God. It frequently stands for the thing "promised," and so signifies a gift graciously bestowed, not a pledge secured by negotiation; thus, in Gal_3:14, "the promise of the Spirit" denotes "the promised Spirit:" cp. Luke_24:49; Acts_2:33; Eph_1:13; so in Heb_9:15, "the promise of the eternal inheritance" is "the promised eternal inheritance." On the other hand, in Acts_1:4, "the promise of the Father," is the "promise" made by the Father. "promises" is used because the one "promise" to Abraham was variously repeated (Gen_12:1-3; Gen_13:14-17; Gen_15:18; Gen_17:1-14; Gen_22:15-18), and because it contained the germ of all subsequent "promises;" cp. Rom_9:4; Heb_6:12; Heb_7:6; Heb_8:6; Heb_11:17. Gal_3 is occupied with showing that the "promise" was conditional upon faith and not upon the fulfillment of the Law. The Law was later than, and inferior to, the "promise," and did not annul it, Gal_3:21; cp. Gal_4:23,28. Again, in Eph_2:12, "the covenants of the promise" does not indicate different covenants, but a covenant often renewed, all centering in Christ as the "promised" Messiah-Redeemer, and comprising the blessings to be bestowed through Him. "promise" made by God: cp. Heb_11:33; in Heb_7:6, of special "promises" mentioned. For other applications of the word, see e.g., Eph_6:2; 1_Tim_4:8; 2_Tim_1:1; Heb_4:1; 2_Pet_3:4,9; in 1_John_1:5 some mss. have this word, instead of angelia, "message." The occurrences of the word in relation to Christ and what centers in Him, may be arranged under the headings the contents of the "promise," e.g., Acts_26:6; Rom_4:20; 1_John_2:25; the heirs, e.g., Rom_9:8; Rom_15:8; Gal_3:29; Heb_11:9; the conditions, e.g., Rom_4:13,14; Gal_3:14-22; Heb_10:36. ”14 Later He appeared to the eleven as they sat at the table; and He rebuked their unbelief and hardness of heart, because they did not believe those who had seen Him after He had risen. 15 And He said to them, “Go into all the world and preach the gospel to every creature. 16 He who believes and is baptized will be saved; but he who does not believe will be condemned. 17 And these signs will follow those who believe: In My name they will cast out demons; they will speak with new tongues; 18 they [and in their hands they will ] will take up serpents; and if they drink anything deadly, it will by no means hurt them; they will lay hands on the sick, and they will recover.” (Mark 16:14-18). 1) When we preach the Gospel, if we by faith lay hands on the sick in Jesus name, then the power of healing sign will begin to manifest and follow us. 2) It is as easy to heal people as it is to get saved because both the supernatural manifestation happens by believing. 3) Jesus expects us to preach the gospel with the power of the signs following us. 4) The signs of God’s power is to be manifested by us in all the world, where ever we are preaching the Gospel. Even in our daily life. 5) Only when we move around with the Gospel of Jesus Christ, then signs can follow us. When we sit around doing nothing, signs cannot follow us. You can follow only a moving car, not a parked car in a garage. 6) When we believingly lay hands on the sick, they will recover [because Jesus will never fail]. 7) The signs of God’s power will follow those who believe. It is not just for apostles, prophets, evangelists, pastors and teachers only, but also for all believers. Are you a believer? If yes, then it is for you. "And it will be for a sign and for a witness to the LORD of hosts in the land of Egypt; for they will cry to the LORD because of the oppressors, and He will send them a Savior and a Mighty One, and He will deliver them” (Isaiah 19:20). 1) When we cry to the Lord because of all the oppression of the devil [sickness, diseases, plagues, sinful bondages and death], the savior [the deliverer] of our spirit, soul and body [i.e. Jesus Christ] will come and deliver us from all those oppressions of the devil. It is His promise, He will do it.